This “Piano Practice Advent Calendar” is perfect for piano students, and for piano teachers who want some holiday spice in their studios! 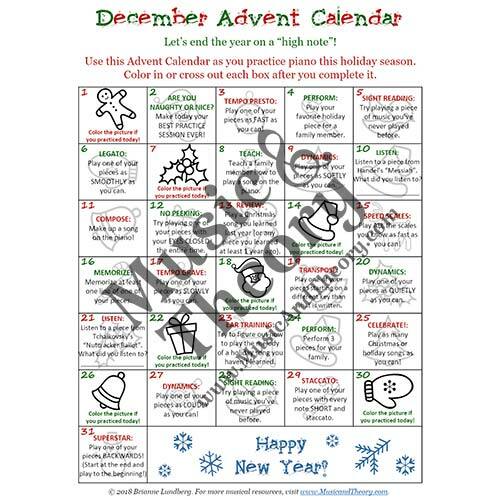 31 days of music-related tasks provide merry motivation so that piano practice feels fresh and enjoyable as well as educational during the most wonderful time of the year. Each day of December, something special is in store to help you count down the days to a Merry Christmas and a Happy New Year!